TECHNICAL *Volume: 800ml *Weight: 24g *Dimensions: 16x26cm *Made in the U.S.A. DESCRIPTION: Whether you are a connoisseur, an enthusiast or a casual admirer of wine, one truth remains: the delicate taste of wine change upon exposure to oxygen. That means wine is best enjoyed within a few hours of being opened. If not properly preserved, wine can go bad in as little as 2 to 8 hours. Don't minimize oxygen exposure. Eliminate it.PlatyPreserve is the best way to protect the taste of an opened bottle of wine by completely eliminating the presence of oxygen. 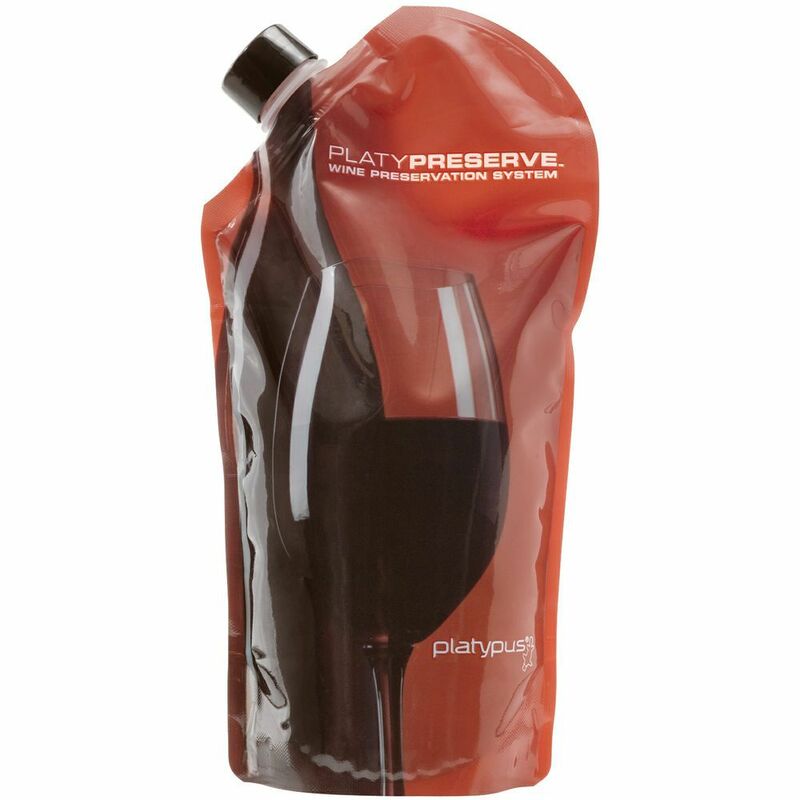 While alternative methods might have you pump air out of the bottle or inject gas into the bottle- PlatyPreserve has you transfer your un-finished wine into an air tight reservoir to truly protect the taste of your wine so it may be enjoyed several days or even weeks later.